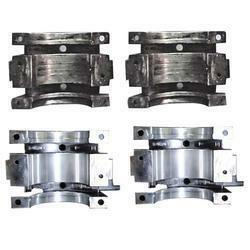 We undertake Rebabbitting of large and small size bearing on centrifugal babitting machine. 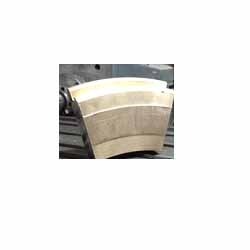 The machine is specially designed to ensure uniform layer of white metal and high quality of babbitting. 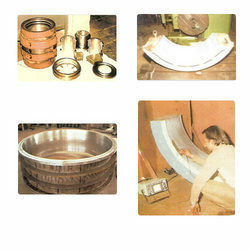 The Rebabbitting services are offered for Babbitt Bearing, Bearing Bush,Thrust Pad Bearing crankshaft bearing, pump bearing,C R pin bearing, journal bearing, crosshead bearing, intermediate bearing, turbine bearing, main gear bearing, stern tube bearing, thrust pads for main shafts, turbines and crankshafts. We undertake rebabbiting of large and small size bearings on centrifugal babitting machine. The machine is specially designed to ensure uniform layer of white metal and high quality of babbitting. 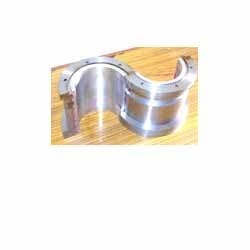 The different parts we use are crankshaft bearings, pump bearings, crosshead bearings, intermediate bearings, turbine bearings, main gear bearings, stern tube bearings, thrust pads for main shafts, turbines and crankshafts. The babbitting of bearings is done by a centrifugal process, which is widely used in Cement plants, DG sets, Marine engines, compressors and turbines. Our advance facilities help us to supply white metal bearings and thrust pads. The use of centrifugal babbitting equipment with thyristor controller provides precise speed control to get accurate results. Moreover, we also use electrical furnaces for pre-heating and melting process to get the required temperature and irrespective of the grade of white metal that is used we ensure high quality and bonding of white metal. Large Vertical boring machine can accept a product weighing upto 30 tons and 4 meters in diameter.